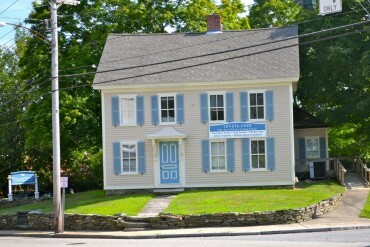 The home lot of Norwich founder John Mason is current ly where the Norwich School District office is located. 35 English settlers led by Major John Mason and his son-in-law Rev. James Fitch founded Norwich in 1659. The settlers purchased a nine by nine square mile parcel from the Mohegan Tribe. Mason emigrated from England to the colonies in 1632. English settlers commanded by Captain Mason massacred the Pequot Tribe in 1637. He founded Norwich in 1659 and died in Norwich in 1672. The Courthouse was built in 1735 and originally stood on the south corner of the green. 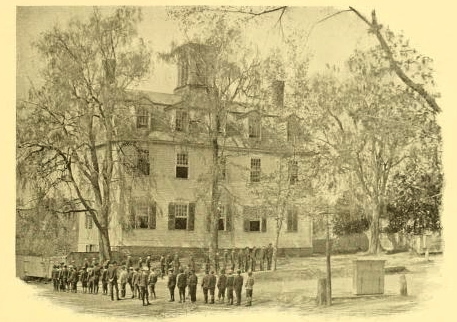 Over time, the building became dilapidated and a new courthouse was built in 1761. In 1798, the building was moved across the street, and placed on John Mason’s former house lot. By 1833, the seat of power shifted to Chelsea Landing and a new courthouse and jail were built at the Harbor. The old courthouse was sold in 1835 and it was a schoolhouse for many years. In 1891, a new building was constructed and the old building was torn down. 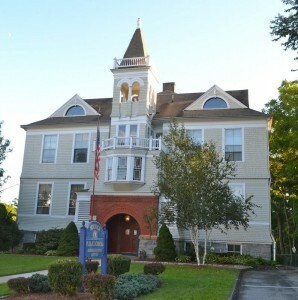 Today, it houses the offices of the Norwich Board of Education.